Romney was born on March 12th, 1947 in Detroit, Michigan. Even though he wasn’t really athletic or very good academically, he showed quite an interest in politics. He took part in his father’s Michigan gubernatorial campaign and interned in the Governor’s office. 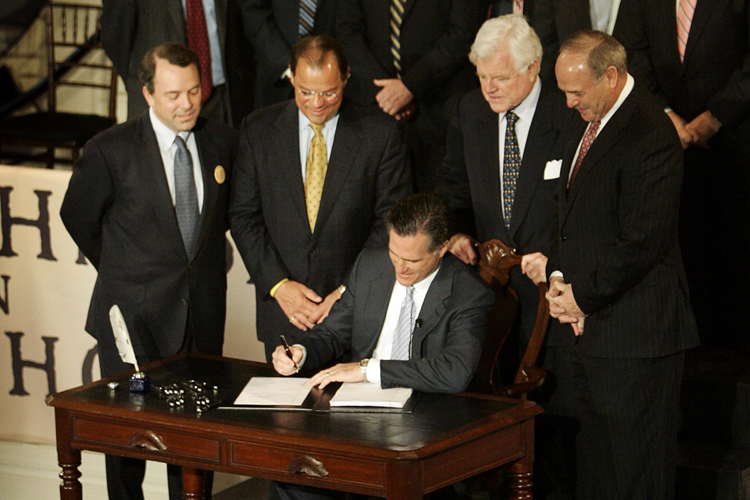 Romney began his business career by working at Boston Consulting Group. He later moved on to join Bain & Company. Since he had a legal and business education, he excelled at his job at both the consulting firms. He gained huge popularity for his work at Bain & Company. Romney was also involved in some political trouble when he took his boat out for a family outing without license and also went on a twelve hour family trip with his dog in a wind shield equipped carrier. Unfortunately, his critics still use these incidents against him. His total net worth today is $250 Million. Apart from Presidential campaigns, Romney worked on military investments and replacing Obama care with something that gave more control over the Medicaid. From economic growth, taxes to health care – all of it was being looked after by him. He also focused on a sustainable environment by imposing control over gases that damaged the environment and eventually led to global warming. Another field he focused on was the nuclear power that Iran had which America should consider a threat. Romney married Ann Davies in 1969, which he started dating in his senior year of high school. The two got engaged in 1965, right around when he joined Stanford University. They have five kids together. It is reported that both, Romney and Ann have a net worth of around $190 to $250 million dollars.